Information about current emergency events. 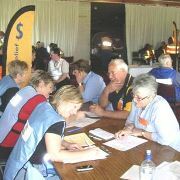 visit the Disaster Recovery pages on SA.gov.au. publish fact sheets about disaster recovery. Disaster recovery is the coordinated process of supporting communities that have been affected by a disaster in the reconstruction and restoration of psycho-social, economic, built and natural environments. (f) support to assist the recovery of business." supports Zone (local) Emergency Management Committees. 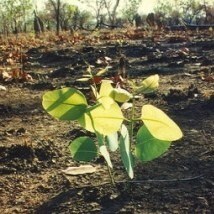 supports and assists local recovery efforts. The Emergency Relief Functional Support Group identifies and coordinates the provision of practical advice and personal support services that individuals, families and communities need. The SA Housing Authority is the lead agency for the Emergency Relief Functional Support Group. It may be supported by other agencies including Commonwealth Department for Human Services, Lions International, Disaster and Recovery Ministries, Rotary International, Australian Red Cross, Insurance Council of Australia, Uniting Communities and Foodbank. The SA Housing Authority establishes relief and recovery centres to support the affected community towards management of its own recovery. Relief centres provide short-term shelter, information and personal support services such as food and temporary accommodation. Recovery centres provide affected people with information, financial assistance and referral to the wide range of recovery services. Other agencies contribute services such as basic first aid and interpreter services. The Emergency Relief Functional Support Group also reaches out to the community through home visits and phone calls. Australians respond generously when disasters occur. Any money collected by the State Government in a public appeal for disaster relief must be paid into the State Emergency Relief Fund (SERF). DHS provides administrative support to the SERF committee which manages this fund. The committee ensures appropriate and fair disbursement of publicly donated money. Money is the best donation but some people prefer to donate goods in an emergency. This takes time and resources away from the important work of helping those affected by disaster. 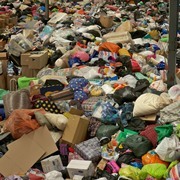 Donated goods need to be transported, stored, sorted and distributed and unneeded or inappropriate goods disposed of. The South Australian Government has appointed St Vincent de Paul Society to administer, manage and distribute clothing, furniture and household goods donated during and after a disaster. Tools to assist with managing donated goods following a disaster (DOC 244.5 KB). The State Recovery Office, with funding from the Natural Disaster Resilience Grant Scheme, undertook a project to examine the issues of people with vulnerabilities in disasters. The project report includes vulnerability and hazard definitions, maps, statistics, research, services and findings. Another product of the project is an interactive mapping application showing the numbers of people with different types of vulnerabilities within different areas and various hazard zones. Please note that the report and interactive mapping application do not include mapping of extreme heat vulnerability. This work has been undertaken by the National Climate Change Adaptation Research Facility which has produced: A spatial vulnerability analysis of urban populations during extreme heat events in Australian capital cities. The State Recovery Office, with funding from the Local Government Association, produced the Disaster Recovery Guide for Councils. The guide helps councils to understand their role and contribution to disaster recovery and to develop their recovery plans and arrangements. The State Emergency Management Plan (SEMP) outlines responsibilities, authorities and the mechanisms to prevent, or if they occur, manage and recover from, incidents and disasters within South Australia. Information about Emergency Management in Australia and, in particular, South Australia. National emergency management plans, programs and projects. When Australians are affected by an offshore or onshore disaster this Australian Government website will have up to date public information messages, relevant free call numbers, information on Australian Government Assistance Packages and links to other relevant websites and information. AIDR is a disaster resilience knowledge centre which coordinates and promotes the development, sharing and use of information for anyone working with, in, or affected by, disaster.